If you’re a Chingford resident looking for quality skip hire, we can do that for you! 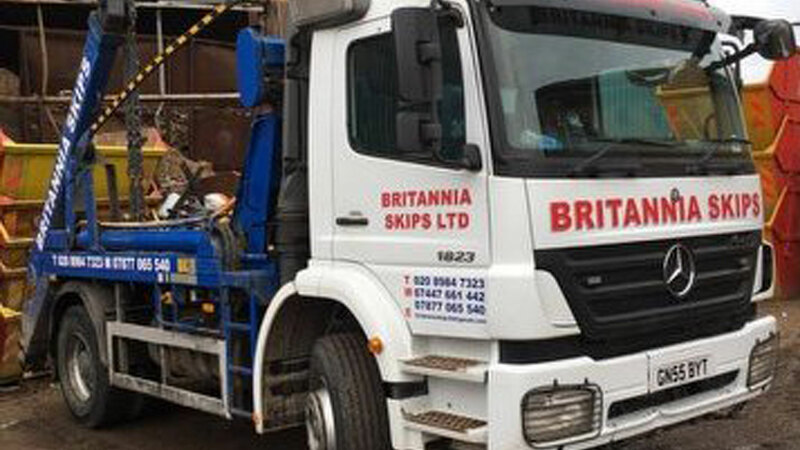 Here at Britannia Skips we aim to provide our customers with fast and competitively priced skip hire. Whether you’re a homeowner looking to dispose of clutter when you’re moving home or a builder who needs a safe waste management solution, we will have the right skip for you. Our range of skip sizes varies from small skips and enclosed bins for residential purposes to large and maxi skips for major industrial projects. We know that navigating the legalities of having a skip outside your property can be confusing and we’d be happy to help you every step of the way, advising you on how to obtain the appropriate licences and permits to ensure that your project goes without a hitch. We offer convenient same day delivery to all our customers across East London so that you can start working fast. Once you’re done with your skip, just let us know and we can come pick it up and safely dispose of all the waste inside it. Get in touch with a member of our staff right now and we can have a skip with you by the end of the day! All our quotes are absolutely free. Feel free to give us a call or pop us a message by using our contact form. We’d be delighted to respond to your query as soon as possible.